I’ve always been an advocate of using airline miles over proprietary points from banks. However the hits keep coming for airlines and the value of their miles. After gobbling up airlines like Airtran, Continental, Northwest, and USAirways, the remaining airlines have made it increasingly expensive to earn elite status, while reducing benefits at the same time. 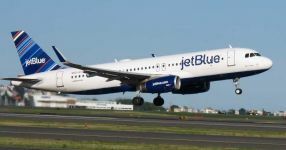 They have reduced hub service and capacity in order to raise airfares. They have stopped awarding miles for flights based on distance flown. Their cheapest fares will no longer include free carry-ons. -United massively devalued their award chart in February 2014. -Delta removed their award charts from public view in February 2015. They have been stealthily making monthly devaluations since then, though their award availability has improved somewhat. 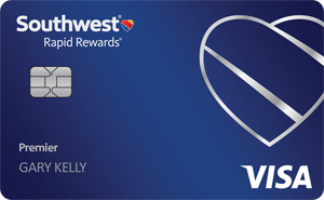 -Southwest has made a number of devaluations to their points value, despite having a fixed value that shouldn’t need devaluation like traditional award charts do when airline tickets get more expensive. -American forced British Airways to charge 7.5K for their awards on AA instead of 4.5K in February of this year. -American made huge devaluations to their own award chart in March of this year. American, which once had the best saver award availability, has made it nearly impossible to redeem for saver awards. 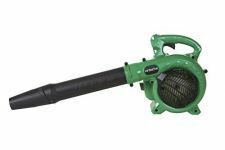 They have also increased the cost of their anytime award to eye-watering levels. 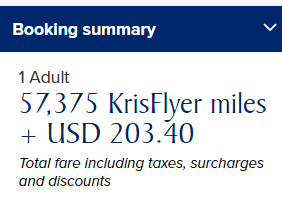 That’s not to say you can’t get some amazing values from airline miles. But it’s become increasingly difficult. In the meantime there is still healthy competition in the credit card industry. -A 2% cash back card, like Citi Double Cash becomes increasingly compelling in the face of mileage devaluations, though that card has no signup bonus. -The Capital One Spark Cash for Business offers a $500 bonus for spending $4,500 and 2% cash back. The problem with non-convertible cards is that they can’t transfer points into real miles. There are hundreds of times that I’ve redeemed points for tickets that would have been prohibitively expensive without miles. Accumulating straight cash back or points that can’t be converted into miles leaves you at risk when airfare is expensive. Convertible cards traditionally offer a poor value for paid airfare. They allow you to transfer points into miles, but when tickets are inexpensive it’s not worth using miles. Devaluations and increasingly tight capacity controls have also hurt the value of miles. But just in the past few months we now have 2 credit cards that offer the best of both worlds. Let’s call them Hybrid cards. -100,000 points for signing up and meeting the spend threshold. But often times overlooked is that cardholders can use all of their Chase points at a value of 1.5 cents each towards airfare, hotels, car rentals, and vacation activities. 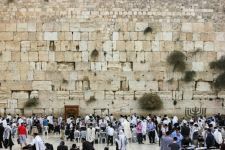 That means you can use 44K points today for a round-trip to Israel that would cost 80-170K miles from the airlines. Plus when you use the credit card points it covers the tax and you earn miles for the flight as if you had paid for it. You can login to your account and redeem Chase points for travel here. 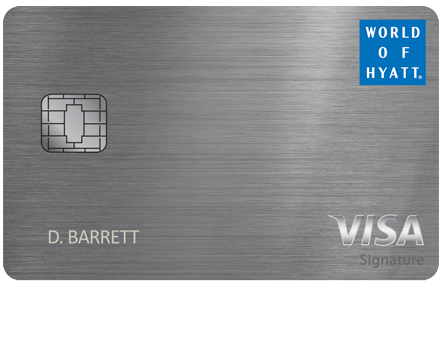 That means you effectively get back 4.5% on travel and dining spending on the Sapphire Reserve card. -If you have a Freedom Unlimited card you earn 1.5 points per dollar everywhere that are worth 2.25% towards travel when you transfer them to Sapphire Reserve. 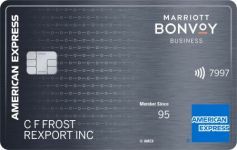 -If you have a Freedom card you earn 5 points per dollar on rotating categories that are worth 7.5% towards travel when you transfer them to Sapphire Reserve. 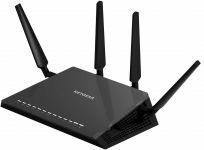 -If you have Ink Plus or Ink Cash card you earn 5 points per dollar on office supplies, gift cards from office supply stores to hundreds of other stores, and telecom that are worth 7.5% towards travel when you transfer them to Sapphire Reserve. Gas, hotel, and dining purchases also have double point bonuses worth 3% towards travel. -If you have Ink Business Preferred card you earn 3 points per dollar on travel, shipping, internet, cable, and telecom, and advertising on social media and search engines.that are worth 4.5% towards travel when you transfer them to Sapphire Reserve. That means you can be earning between 2.25%-7.5% back everywhere. The great thing about a Hybrid card like Sapphire Reserve is that if you need a one-way ticket, a last minute ticket, or a business/first class ticket you can transfer them instantly into real airline miles, assuming the value is better there. But if it’s not you can still get a great value from your points by redeeming them directly for a ticket without transferring them into miles. In October, AMEX responded to Sapphire Reserve by greatly increasing the value of The Business Platinum® Card. -Up to 100,000 points for signing up and meeting the spend threshold. -$200 in airline fee credits per calendar year to spend on the airline of your choice. Thanks to the 50% rebate your points are worth at least 2 cents each. The rebate typically posts the day after redeeming points. -If you have The Amex EveryDay Preferred Credit Card from American Express you earn 1.5 points per dollar everywhere that are worth 3% towards travel when you transfer them to AMEX Business Platinum. You’ll also earn 4.5 points per dollar on groceries that are worth 9% towards travel and 3 points per dollar on gas that are worth 6% towards travel. -If you have the consumer AMEX Platinum card you earn 5 points per dollar on airfare that are worth 10% towards travel when you transfer them to AMEX Business Platinum. -If you have the AMEX Blue for Business card you earn 1.3 points per dollar after the 30% annual dividend that are worth 2.6% towards travel when you transfer them to AMEX Business Platinum. Plus you’ll earn double points everywhere and 10 points per dollar at restaurants for a limited time that are worth more than 20% towards travel after the annual dividend when you transfer them to AMEX Business Platinum. -If you have the consumer Premier Rewards Gold card you earn 3 points per dollar on airfare that are worth 6% towards travel when you transfer them to AMEX Business Platinum. Groceries and gas will earn 2 points per dollar worth 4% towards airfare. -If you have the AMEX Business Gold you earn 2 or 3 points per dollar on categories of your choice that are worth 4-6% towards travel when you transfer them to AMEX Business Platinum. If you redeem 74,879 points for a ticket you’ll get 37,440 of them refunded back to you within a couple days. That’s a value of 2 cents per point. That’s an amazing value per point, though it comes with the annoyances of having to lock in one airline per year for coach travel and it requires waiting for the 50% rebate to come. 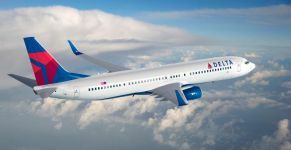 You may have luck switching your airline of choice online via chat or over the phone, especially if you haven’t yet used your $200 in annual fee credit on that airline. The 50% rebate for business or first class is for all airlines. …you can use 113,319 AMEX points for business class after the 50% rebate. You’ll pay no tax and you’ll even earn miles for the flight! The flexibility that hybrid cards like Sapphire Reserve and AMEX Business Platinum offer put you one step ahead of the airlines. And it hinders their ability to devalue your points in the future. Have you taken advantage of the benefits of these hybrid cards? Share your experience in the comments! 58 Comments On "Are Bank Points Overtaking The Value Of Airline Miles? 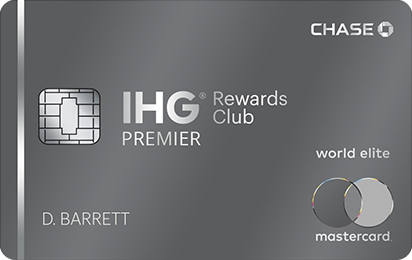 2 Hybrid Cards Allow You To Lock In The Best Of Both Worlds"
Dan if I already transferred my points from chase ultimate rewards card to an authorized user once this year and now I want to transfer more points to another user is there anyway it can be done. I have a few chase cards and my wife has chase reserve card, Any feedback would be appreciated? If I already had a business platinum – can I still get this card since its the “Enhanced” or its the same thing? So Dan…is it worth upgrading from the Chase SP to the Chase SR? Will Chase upgrade me even if I’ve already used up 5×24? I wouldn’t advise that. 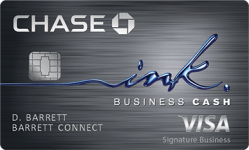 But if you have an Ink card you can transfer out to multiple business partners. I don’t consider that card to be in the same league as these 2. The value for paid tickets is being devalued heavily (along with many other card benefits like AA lounge access) and the transfer options are significantly weaker than AMEX or Chase. When will your 5×24 fall off? Did you try becoming CPC? If you upgrade you won’t get the 100K points. AMEX Business Platinum + EveryDay Preferred? Which one I should click first? Sure, but definitely Chase first as they are more picky about the number of cards you have received recently. Also Ink Plus has been discontinued, but Ink Cash is very similar and has no annual fee. @siliconvalleydan- why would you do that? Just get CSR! dan random q on credit cards if you utilize your credit cards to much even if you pay it back always meaning you max out your credit line each time on the personal end does it look bad when your coming to take a mortgage or lease a car? Will Amex cards opened in last 24 month be count towards 5/24 if I have other Amex cards opened since 2013? And also will different cards opened in same day by same bank be count towards 5/24 as separate accounts? @dan What do you mean multiple business partners? I thought its only one partner per year? Can I still get $200 Amex Platinum air fee credit through MileagePlus X? @paul: Lenders look at your credit score and credit history (among other factors) when deciding whether to give you a mortgage. Credit line utilization makes up about 30% of your credit score, so maxing out your cards every month will definitely adversely affect your credit. If possible, try paying off most of your balance before your credit card statement closes. If you can get your statements to close with a balance of a few dollars every month, your credit score will look a lot better. 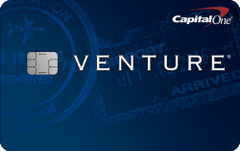 What’s about Capital One’s Spark card (for business) that pays 2% cash back? If i have 100,000 point from my reserve bonus, can i go and transfer those ultimate rewards points to the CHASE FREEDOM UNLIMTED – so i get 1.5% in actual CASH* BACK instead of 1.5 for travel.. Do you know if that would work? If you pay it off before the statement closes then it won’t count against you. Otherwise it will count against you. For best results leave over a buck or 2 for the statement to close with. Alternatively you can use a business card and then it won’t count against you even if you don’t pay it off early. Yes and yes, unless they’re business cards. On Ink cards it can go to multiple business partners that are added users. Good card, but same problem as Citi double cash and Barclay Arrival. No. It’s only 1.5 for travel. 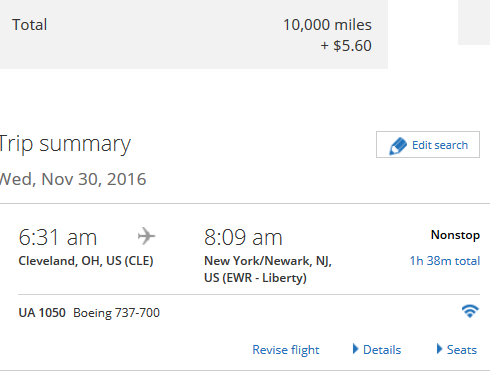 Isn’t there a UA close in fee for redeeming for the CLE to EWR tomorrow? Spot on Dan. Too many disconnects in value With ticket where they are. that delta flight is even better with the pay with miles option at 1c! @dan if I open up the Amex business card, can I use the membership rewards points I already have through it? Also, do I need to have an actual business to get the business card? Hi Dan, thank you for response. Chase Sapphire Reserve + Ink Cash due to 2 hard pulls? Can the points be joined for husband and wife or family members with the Chase Sapphire Reserved cards? Don’t worry about hard pulls too much. It’s worth the shot. But try to get CPC first from your local banker if you can. It takes 1-2 business days!!! I did it a lot in the past few days. @mia flyer: It’s just annoying that for coach it’s only for 1 airline and that you need to have double the amount of points available and 2 months later you get half refunded. Also it’s only for the Bus Plat not the personal Plat. I don’t know why Amex did that. Dan why when im trying to find space in the Singapore u just cant finf any dates. An also it says ut puts me on a waiting list that u have no clue to know if its gets available or not. They typically clear their waitlists. Any tips on how to get CPC status? I currently don’t even have a checking account with Chase. I’d open it and keep it with them if I could get CPC status. Is there any easy way to get CPC without have an extra could hundred thousand bucks hanging around to deposit at Chase? What do you mean they clear the wait list? An also it it hard to find availability for the suite? (Btw) the 5k$ price that you posted VS the award points is 5k for 1 way? Get friendly with a banker. Availability changes by the day, but it can be tough. If there are no confirmable seats you can a waitlist and they let you know when you are confirmed. Yes, that is the one-way price. “That means you effectively get back 4.5% on travel and dining spending on the Sapphire Reserve card.” How do you figure 4.5%? Are you including the $300 credit? 3 points per dollar that are worth 1.5 cents each. How would they let me know if i am confirmed? 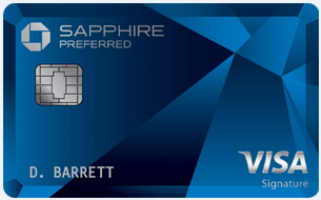 About the Sapphire Reserve card: can the Chase travel points only be used when accrued or also in the following year? I know, I sound uninformed, but I just could not find precise language. Please interpret it for me. @Dan, I checked united same dates as u show here (01.09.17 -01.16.17) and it was $901 or 64k~ points which website has it for 49k points? Can I apply for Amex Business Gold Rewards Card and Amex Business Platinum at the same time? Is there same benefits to have either Amex Business Gold Rewards Card or Amex consumer Rewards Gold together with Amex Business Platinum? I have consumer Amex Good and now they’re changing me $195 membership fees, so I thought to close it and open Business Gold + Business Platinum instead. Can I ask for CPC in any Chase branch or just in my local one? Do you know of a way to book low-fare airlines such as WOW or Norwegian on the Chase or Amex portals? I did not see them. 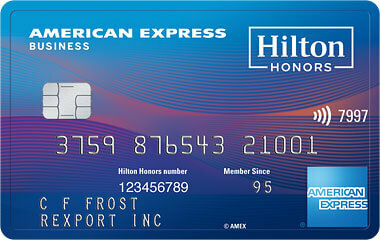 Also, is there any ancillary benefit for the Amex card if I have the Amex SPG card? A $500 flight used to cost 50K points. Now it costs 25K points thanks to the rebate. I’m trying to pay with points on amex plat for a flight and it’s showing $1430 cost 238k MR. What happened to one point per cent? this seems to be closer to to 0.6 cents per point? Possible scam? I booked tix on United using Sapphire Reserve. While I did get 1.5, the fare quoted was higher than other sites like Kayak for the SAME tickets! I called and it took over an hour to get through and book, then the price quoted went up TWICE during the call!!! Any “stats” on this? Gotta select by tomorrow, right? bottom line- which is the best card to sign up for to get last minute tickets on. I have British Airways points. but I can’t get good American Airlines flights. No good. Which credit card should I sign up for? Amextravel is terrible. I keep finding great prices on searches, and when I select them, it tells me that the segment is unavailable or some similar message. 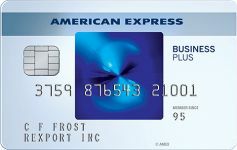 You wrote a couple of times regarding miles earned other AMEX cards “when you transfer them to AMEX Business Platinum”. You need to actually transfer them? How? Once I have the platinum card, don’t I automatically get the platinum treatment on all my AMEX miles? 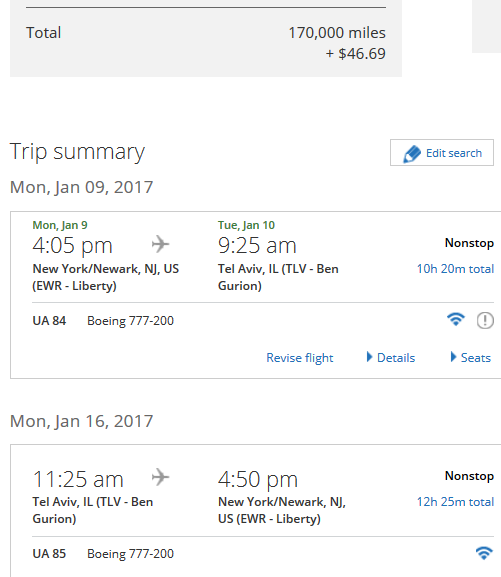 My husband and i are looking to buy tickets to Israel this august. We have Chase points close to (200,000), and some united Points. It sounds as if its worth opening a Chase reserve account, to get the lowest amount and the 100,000 points. However is it really worth the annual fee if we are not continuously point users? Also, when you write “pay before statement closing”, we always pay before the due date, but are you suggesting paying during the month that the expenses were spent, so the statement has a small balance? does the regular platinum get a 50% rebate as well ?????? and what are the diffrences between the regular and buisness???? ?